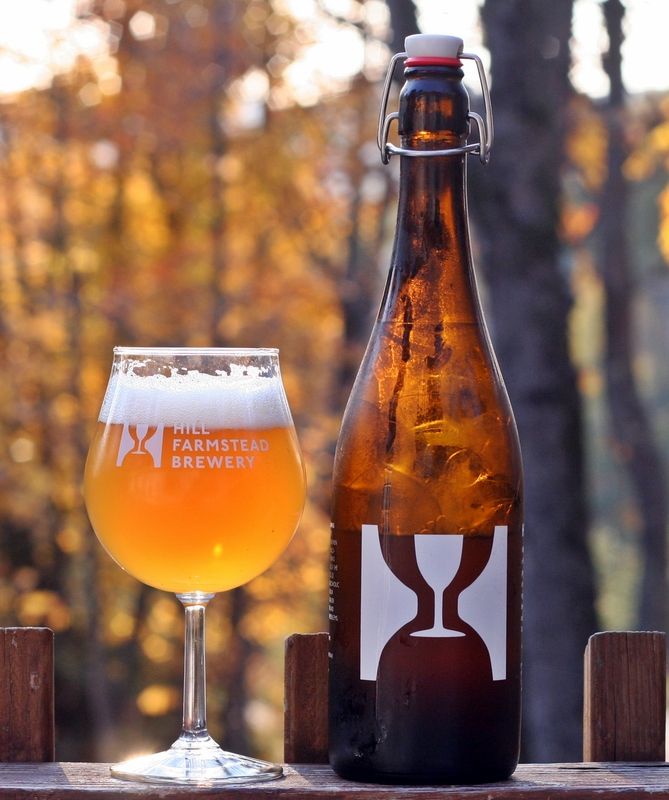 This is part of Hill Farmstead’s single hop series which is an interesting experiment in beer. Take the same style of beer and instead of using a mix of different hops use only a single hop variety. Hops are used for aroma, bitterness and taste and different hops have different flavor and aroma profiles. Riwaka is a hop from New Zealand that is not as common as Centennial, Citra, Simcoe and many other American and European varieties. Appearance is typical of a Hill beer, bright orange with two finger white head that has incredible retention and leaves a lot of lacing on the glass. Aroma was not as strong as other beer from Hill Farmstead but still there with citrus and tropical fruits. Taste has plenty of hop flavor but a bit more bitter than I expected. This beer was excellent but I enjoyed the Double IPAs( Ephraim, S&S), Edward, What is Enlightenment and a few of the blends better than this single hop variety.